NASA’s $1 billion Juno spacecraft flew over the Great Red Spot in July 2017. The probe provided the closest-ever photographs of the gigantic storm. However, planetary scientists think the Great Red Spot could soon weaken and fade into a "Great Red Memory" within a few decades. A signature storm on Neptune is vanishing, too. 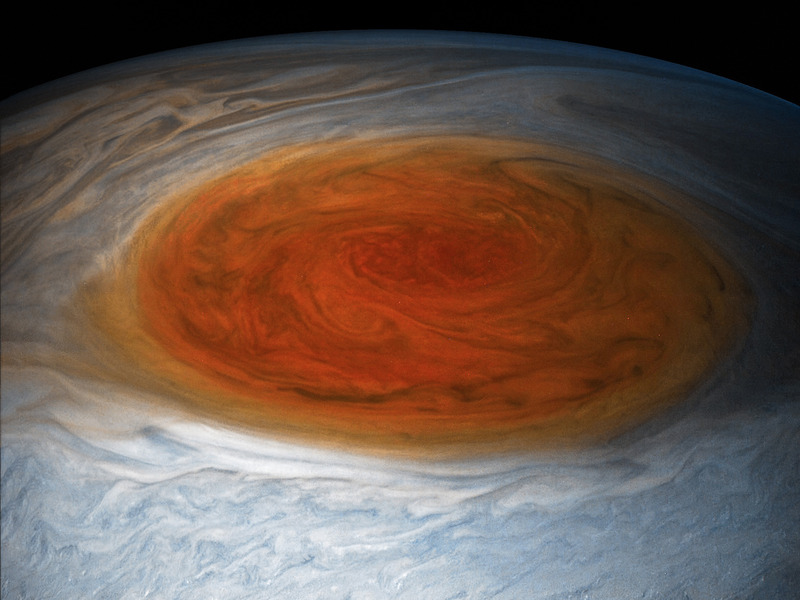 Get a good look at Jupiter’s Great Red Spot while you can. The giant storm as we know it today is shrinking, and it might fade into memory within your lifetime. NASA’s $1 billion Juno probe took stunning photos of the Great Red Spot in July 2017 — the closest images we’ve ever gotten of the giant tempest. Scientists were floored by the level of detail beamed back by the spacecraft. Jupiter’s super-storm is wider than Earth and has been swirling around since perhaps the 1600s. 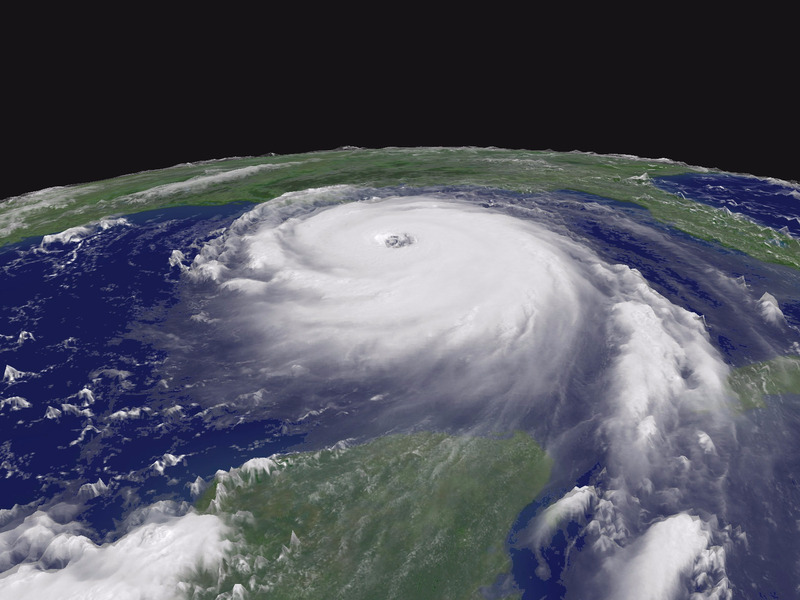 By comparison, Earth’s longest recorded storm, Hurricane John in 1994, lasted just 31 days. 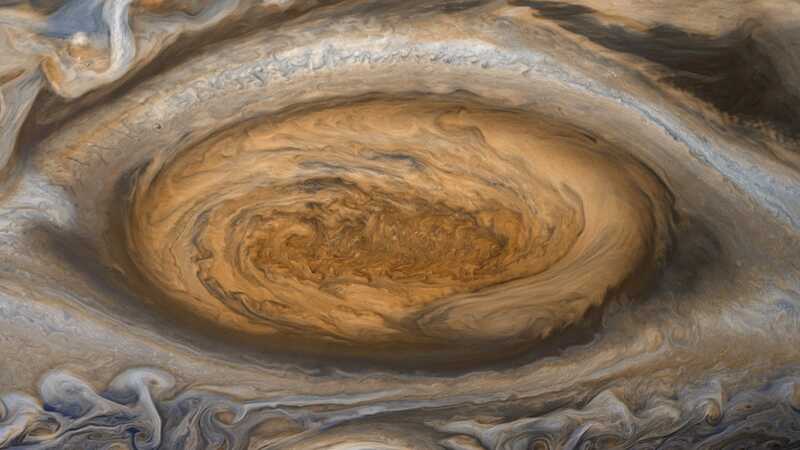 Business Insider asked Glenn Orton — a lead Juno mission team member and planetary scientist at NASA JPL — why Jupiter’s storms last so long. "They don’t, at least not all of them," Orton said in an email. "Think of the GRS [Great Red Spot] as a spinning wheel that keeps on spinning because it’s caught between two conveyor belts that are moving in opposite directions. The GRS is stable and long-lived, because it’s ‘wedged’ between two jet streams that are moving in opposite directions." Jupiter’s jet streams can move at speeds of more than 300 mph, so they impart great force onto any storms that spin backward relative to the planet’s rotation. That keeps "feeding momentum into the vortex," Orton said. Juno will get its next peek at the Great Red Spot in April 2018, then again in July and September of 2019, and at least one more time in December 2020. But the spacecraft’s view will not be as close or detailed as its July 2017 flyby. "[W]e’re not planning currently ever to come as close without changing the orbit from its current configuration," Orton said. "This also assumes that the GRS maintains its current drift rate in Jupiter’s atmosphere." 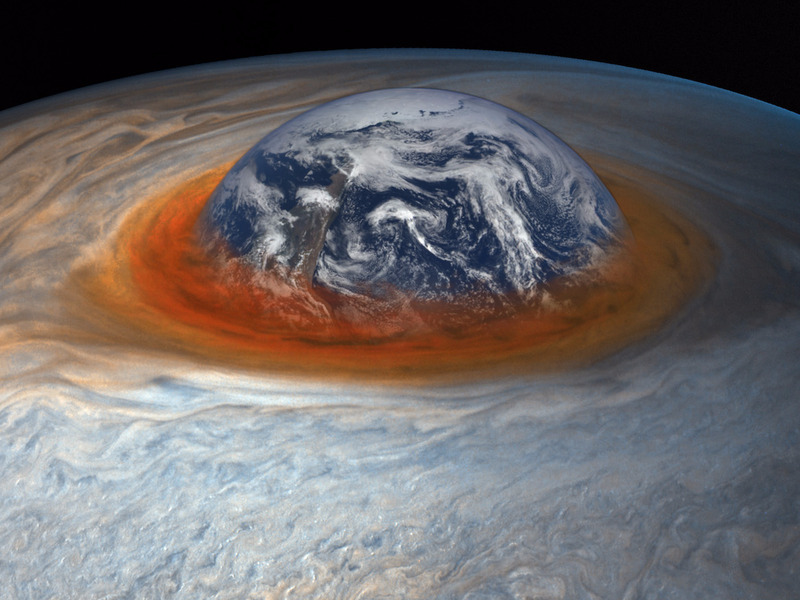 When will the Great Red Spot disappear? Earth doesn’t permit storms to last for hundreds of years since, unlike Jupiter, its surface is not shrouded in tens of thousands of miles’ worth of atmosphere. Instead, our planet’s dynamic atmosphere is in close contact with features like oceans and land. Earth is also relatively small and rotates more slowly than Jupiter (which spins once roughly every 10 hours). These factors shape our world’s jet streams in a way that can disrupt weather systems and vortexes before things get too out of control. But Orton said the Great Red Spot, and other long-lived storms on Jupiter, still won’t go on forever. "In truth, the GRS has been shrinking for a long time," he said. In the late 1800s, the storm was perhaps as wide as 30 degrees longitude, Orton said. That works out to more than 35,000 miles — four times the diameter of Earth. When the nuclear-powered spacecraft Voyager 2 flew by Jupiter in 1979, however, the storm had shrunk to a bit more twice the width of our own planet. "Now it’s something like 13 degrees wide in longitude and only 1.3 times the size of the Earth," he said. "Nothing lasts forever." A signature storm on planet Neptune is also vanishing, ongoing Hubble telescope observations show. That storm is as large as a continent on Earth, but may disappear in a few years, according to Space.com. The remaining lifetime of the Great Red Spot on Jupiter isn’t much better. "The GRS will in a decade or two become the GRC (Great Red Circle)," Orton said. "Maybe sometime after that the GRM" — the Great Red Memory.